Multi-Purpose 10-Piece Bowls & Lids Just $13.99! Down From $25! PLUS FREE Shipping! You are here: Home / Instagram / Multi-Purpose 10-Piece Bowls & Lids Just $13.99! Down From $25! PLUS FREE Shipping! For limited time only! 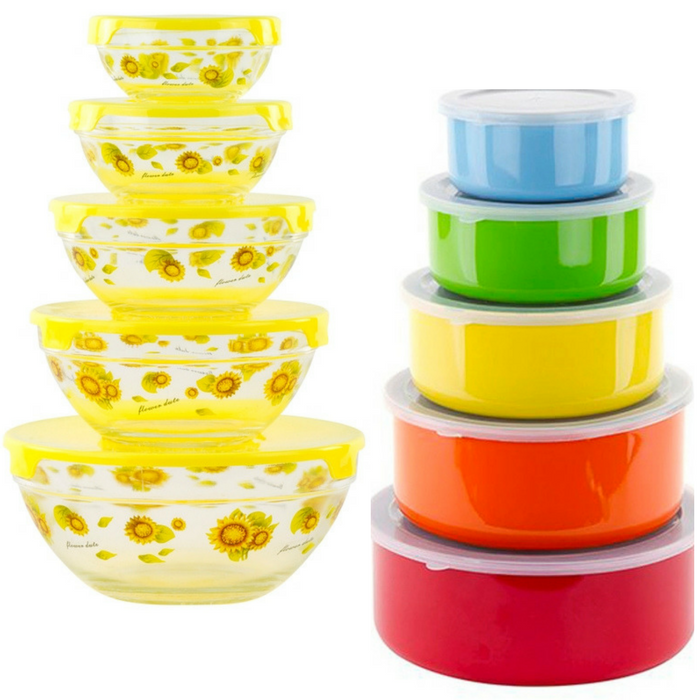 Head over to Tanga to score this Multi-Purpose 10-Piece Bowls & Lids for just $13.99 down from $24.99 PLUS FREE shipping! Cute, but still sophisticated, these 10-piece sets will fit in your modern kitchen! The snap-tight lids will help keep all your food fresh and secure, plus they are stackable, easy to store and great for brown bag lunches. Microwavable (Glass bowls only) and dishwasher safe, there’s no need to worry if you forget to pull the lid off before nuking. Nice!